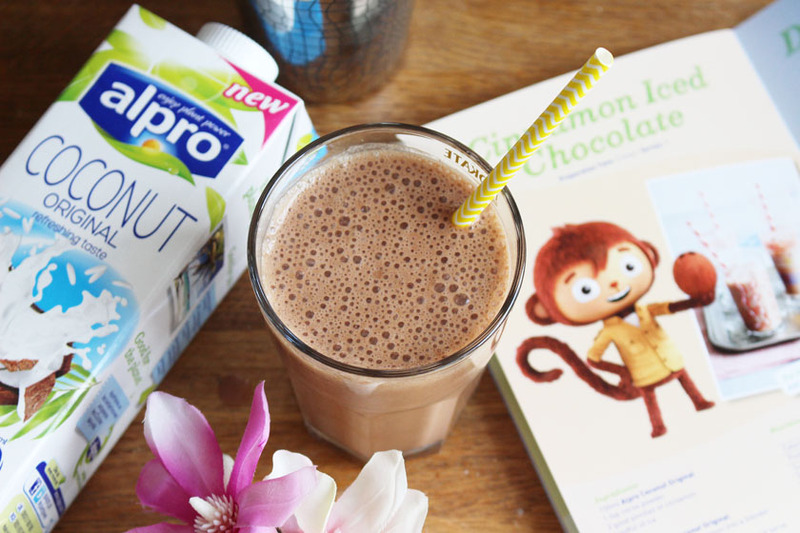 As a self confessed coconut addict, I couldn't wait to give Alpro's new coconut milk a go! 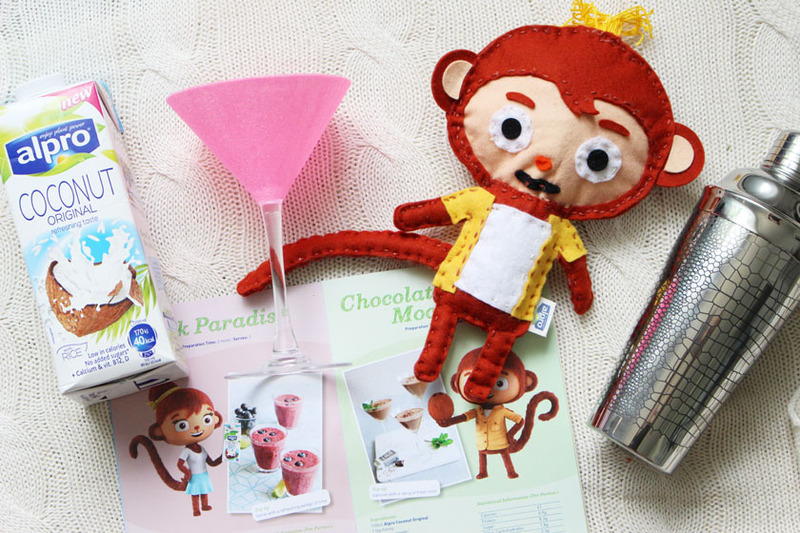 Armed with a cocktail shaker, a sparkly martini glass, a blender and a booklet full of yummy recipes, I was ready to try some new flavour combinations. 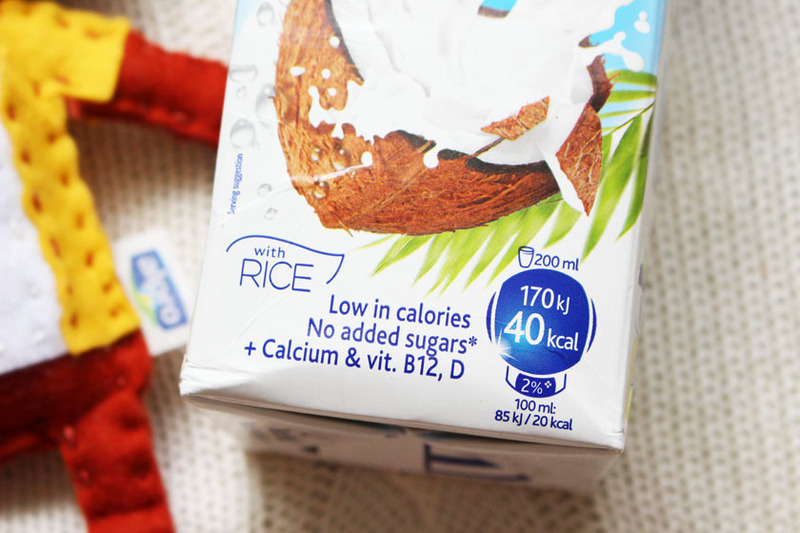 Alpro Coconut is a mixture of coconut and rice milk, with no added sugar. It is enriched with vitamins, it is low in calories and very yummy! 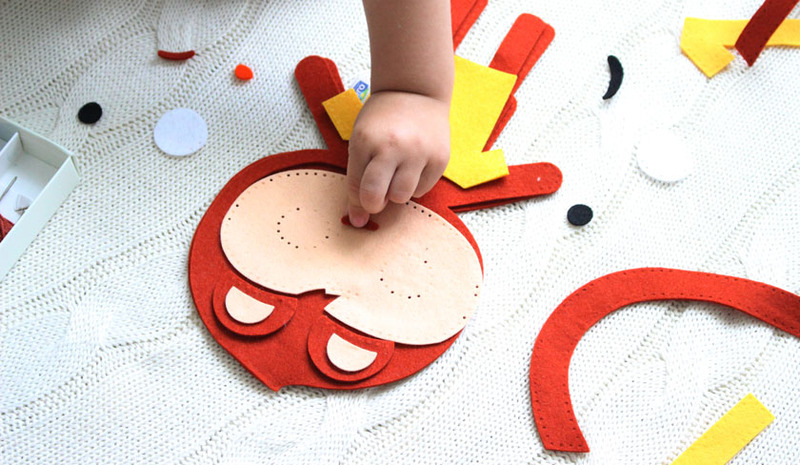 The coconut flavour isn't too strong, so it can be used in anything, even your breakfast cereal. To be perfectly honest, I like drinking it on it's own as well, because it is very refreshing. Blend 150ml Alpro Coconut Original with 25g peeled and chopped banana, 10g or 2.5cm peeled fresh ginger, roughly chopped 1/2 vanilla pod (I used 1/2 tsp of vanilla essence). Serve with a wedge of lemon. Yum! 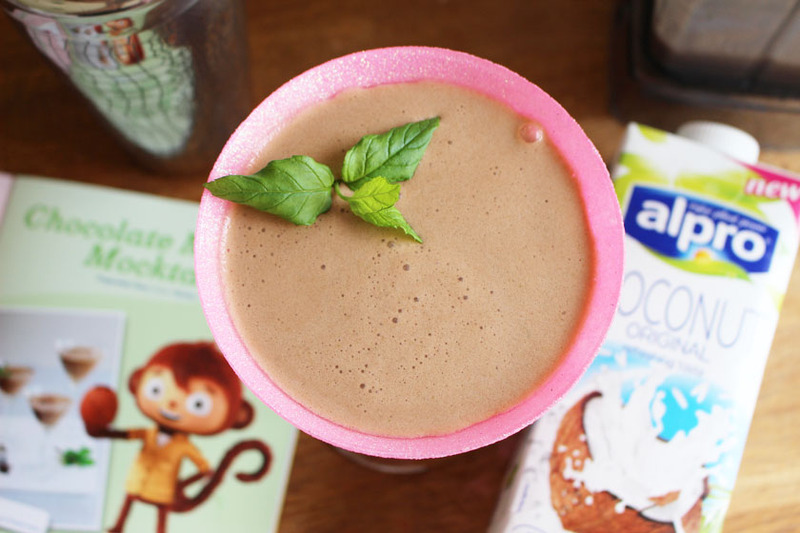 Blend 150ml Alpro Coconut Original, 1 tsp runny honey, 1 tsp sifted cocoa powder, 2 sprigs of fresh mint and a handful of ice. Serve with fresh mint and ice. 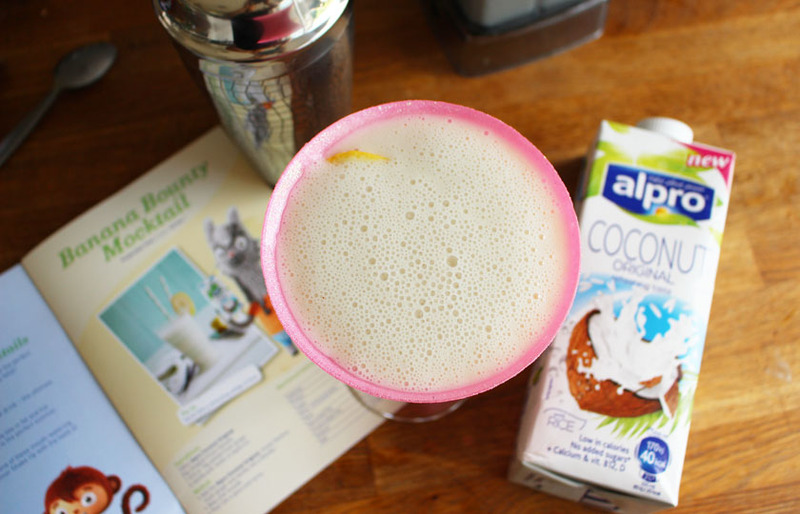 Blend 150ml Alpro Coconut Original,1tsp cocoa powder, 2 good pinches of cinnamon and a handful of ice. Serve with ice in a tall glass. 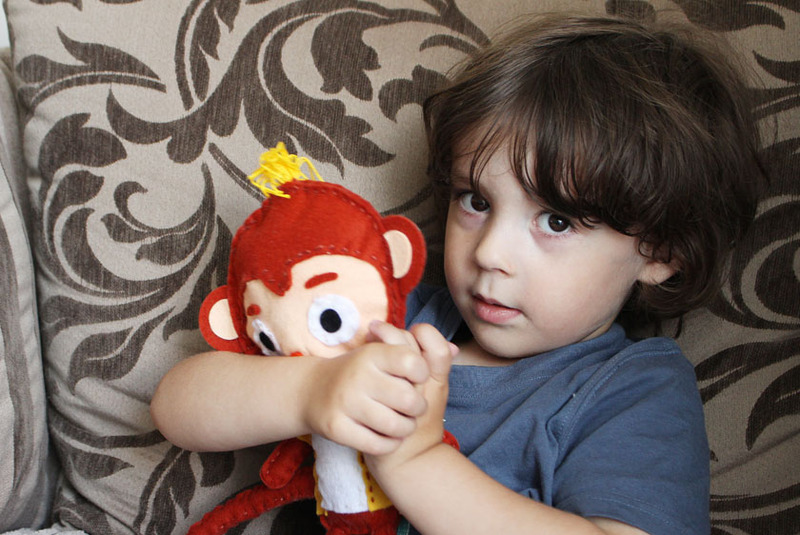 We made the cute Mr Coco doll with Zachary and it was lots of fun, I will be adding more photos of the activity to my Mummy & Baby Blog today.